Participants must submit three images representative of current work, plus a brand logo. Higher resolution preferred. VENDOR SPACE ASSIGNMENTS: Booth space is 10’ x 10’ ($65), 10’ x 20’ ($100) or 10’ x 30’ ($125). Vendors must provide their own tent(s), table(s) and display racks. We highly suggest you also bring weights for the tent (no stakes). Exhibitors may not relocate or move their assigned space without the permission of the Festival Committee. Booth sharing or sub-leasing is prohibited unless arranged for in advance with the Festival Committee. REGISTRATION DATE: Please register and pay for your booth space by May 1, 2019. CANCELLATION FOLLOWING ACCEPTANCE: If you cancel before May 1, 2019, we will return your booth fee less a $25 administrative charge. No refunds will be made for cancellations after May 1, 2019. Your registration is not complete until all materials, information and payment are received. PLEASE READ ALL VENDOR GUIDELINES AND RULES. 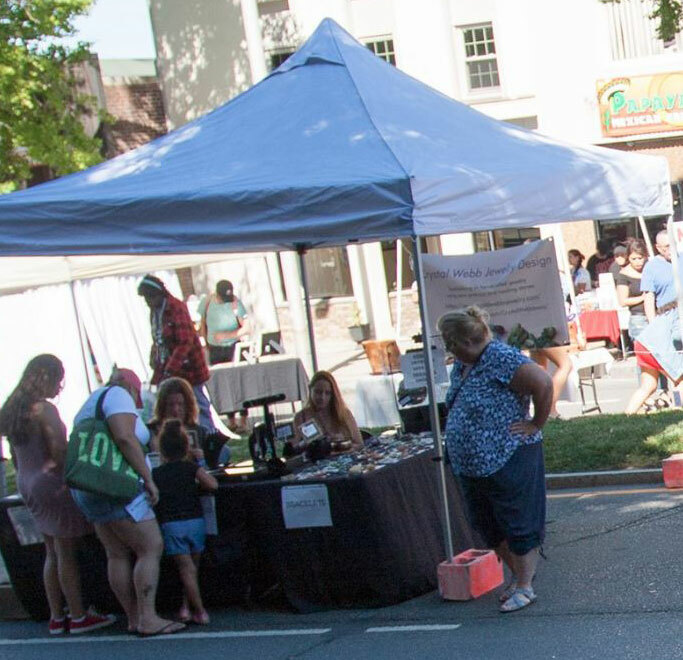 Please check this box if we may use images of your work in the publicity for the 2019 Artists & Artisans Street Festival (i.e., press releases to local newspapers, websites, print and electronic ads, etc.). The artist will receive written credit whenever an image of his or her work is used. The artist retains the copyright to his/her work. Applicants must submit four high-resolution digital images - three images representative of current work and one image of the display or booth shot that will be used for the show. Preferably at least 1,600 pixels in width or height, 300 d.p.i. in JPG or JPEG format. Optional. If we have this information, we may use it in our promotional materials and on the web site. I have read the Vendor Guidelines and Rules. By checking this box, the Exhibitor and those accompanying, hereby agrees to indemnify, protect and hold harmless CityCenter Danbury & CityCenter Danbury Events, Inc. their officers, employees, agents and representatives for any and all liability for personal injury, property loss or damage of any nature suffered by Exhibitor arising from use of space, facilities or grounds in connection with operation of said festival. I agree to abide by the rules and regulations set forth in this application. Please check ALL items before submitting your application.